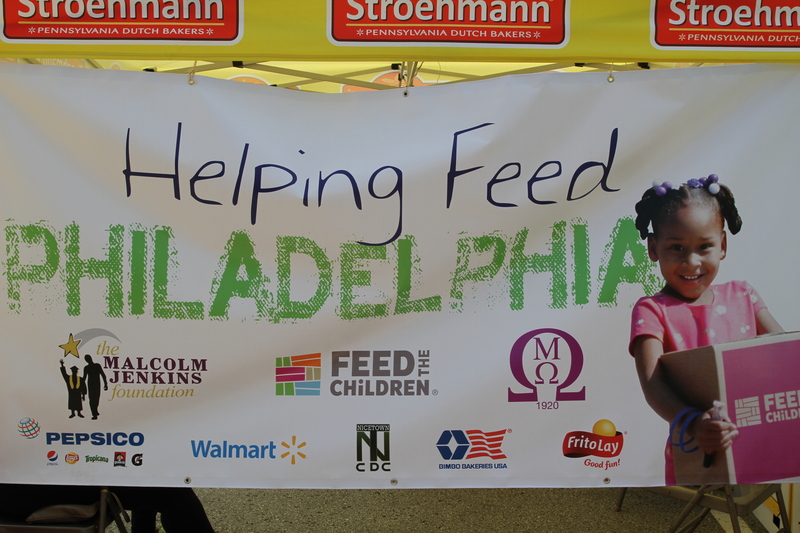 On Friday, July 11 The Malcolm Jenkins Foundation partnered with Feed the Children and Omega Psi Phi Fraternity, Inc. to host the “GET READY FEST” at Deliverance Evangelistic Church. Together, they established this community outreach event to support families by providing food, personal care products, clothing, fun, as well as wellness resources to 800 Philadelphia-area families. It was a sea of purple as dozens of brothers of Omega Psi Phi from all over the country assisted nearly 3000 people with their bags, boxes, and shopping carts through the various stations and to their vehicles. Omega Psi Phi Fraternity, Inc. is the first international fraternal organization to be founded on the campus of a historically black college. “As a longtime supporter of Feed the Children, we’ll have hundreds of volunteers at this important event,” said Dr. Andrew Ray, Grand Basileus, Omega Psi Phi. “It is part of our ongoing commitment to make a long-term impact on our community,” he added. The founding principles of Omega Psi Phi fraternity are manhood, perseverance, uplift and scholarship.